Honda had made it clear that they will be launching the all new 9th generation Accord in India in 2016. They even showcased the car at the auto expo that took place in Delhi earlier this year. Keeping in line with that, Honda has confirmed that the launch for this new version will take place on the 25th of October. Not only that, the company has also opened bookings for the new car at dealerships across the country. The new Accord will only be available in hybrid guise for the time being since they have only opened bookings for it. That actually makes sense since around 90% of the Camry’s sales come from the Hybrid variant. Also, since the introduction of FAME, the cost of the hybrid vehicles has gone down by a few lakhs which makes the deal even sweeter. However, a petrol variant of the Accord will also be launched as well. The Accord Hybrid is powered by a 2.0 liter engine engine that makes 141 Bhp and a 1.3 kW battery which takes the combined output to 196 Bhp and a max torque of 300 Nm. The engine is mated to an e-CVT box. Its only hybrid rival, the Camry is powered by a 2.5 liter engine making a total output of 202 Bhp. Pricing for the Camry Hybrid starts at Rs 30.90 laksh ex showroom Delhi. The Indian spec vehicle will mostly get the 7.7 inch infotainment screen with a separate touch screen unit supporting Apple Car Play and a reverse parking camera. The vehicle also will get LED headlamps, making it the first vehicle to do so in this segment. On the bumper, there will be LED DRLs. However, more information on the specs will only come post the launch which is slated for next month. The Accord has been Honda’s flagship vehicle in India. It was on sale for a long time, in various avatars since 2001. The vehicle was very popular, being the most reliable and most wanted luxury sedan in that segment. It was only after the new Superb came that the Accord began facing the heat. Since the Superb offered a diesel alternative and petrol costs were shooting through the roof, people opted for the diesel offering instead. 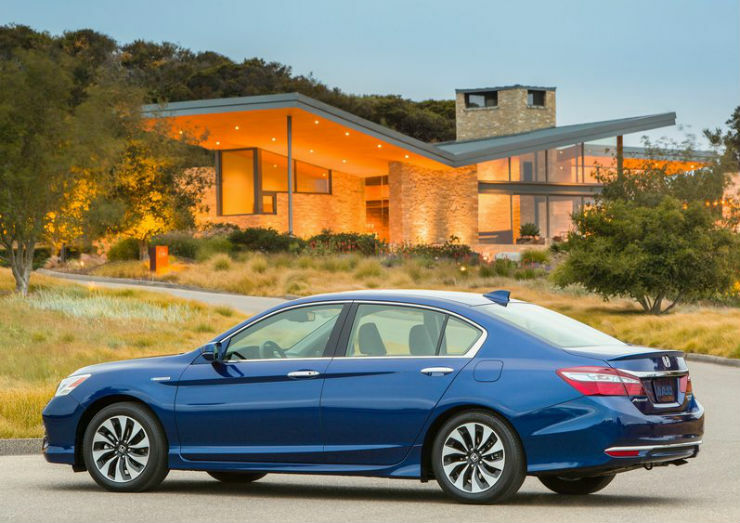 Because of low sales, Honda had to pull the plug on the Accord in 2013. Now that the market is looking towards petrols and hybrids again, launching the Accord will be a good move.